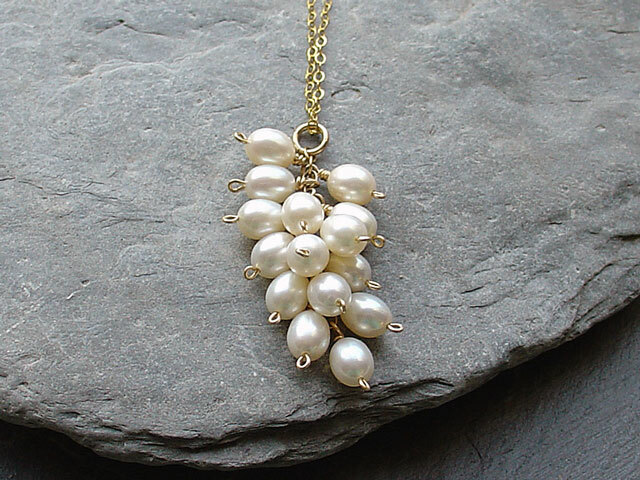 Sweet bunch of pearl 'grapes' in this gorgeous high-grade pearl cluster pendant, exquisitely and meticulously handwired with 14ct gold fill. 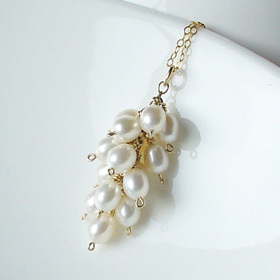 Fabulous with the Toscana earrings for the perfect gift, or for your wedding jewellery. Made to order please allow a few days. 18" 14ct goldfill or vermeil chain. 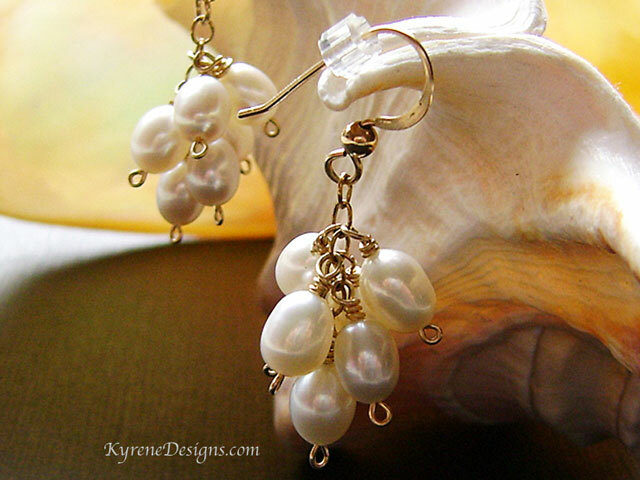 Options: can be made with pink or 'peacock' black pearls; also in tarnish-resistant argentium silver - contact sales@kyrenedesigns.com.